IQS Directory provides a detailed list of electric infrared heater manufacturers and suppliers. Find electric infrared heater companies that can design, engineer, and manufacture electric infrared heaters to your specifications. Peruse our website to review and discover top electric infrared heater manufacturers with roll over ads and complete product descriptions. Connect with the electric infrared heater companies through our hassle-free and efficient request for quote form. You are provided company profiles, website links, locations, phone numbers, product videos, and product information. Read reviews and stay informed with product new articles. Whether you are looking for manufacturers of energy efficient electric heaters, infrared electric heaters, and electric infrared portable heaters of every type, IQS is the premier source for you. When it comes to electric infrared heaters, you came to the right place! We are located in Mt. Airy, Maryland but we provide products to wherever you need them. We strive to provide you with excellent quality products that will last as long as you need them to. It is our promise to you, a product that brings lasting value and one that comes to you at a rate that the competition cannot match. To learn more call us today! At Penn Radiant we focus on providing personal attention and service to each customer. Our founder, Del Lieb, set that standard, and he believed that by providing solutions, we provide production. We offer a vast array of industrial heating and cooling to commercial and industrial applications. We offer products, such as electric infrared heaters, gas heaters, ventilators, blowers, and more, from top of the line manufacturers. Electric infrared heaters use electromagnetic radiation created from an electric heating element to heat objects, materials or spaces with the help of a reflective shield. Infrared heat waves are long electromagnetic waves located near the visible electromagnetic spectrum and give off a large amount of heat. 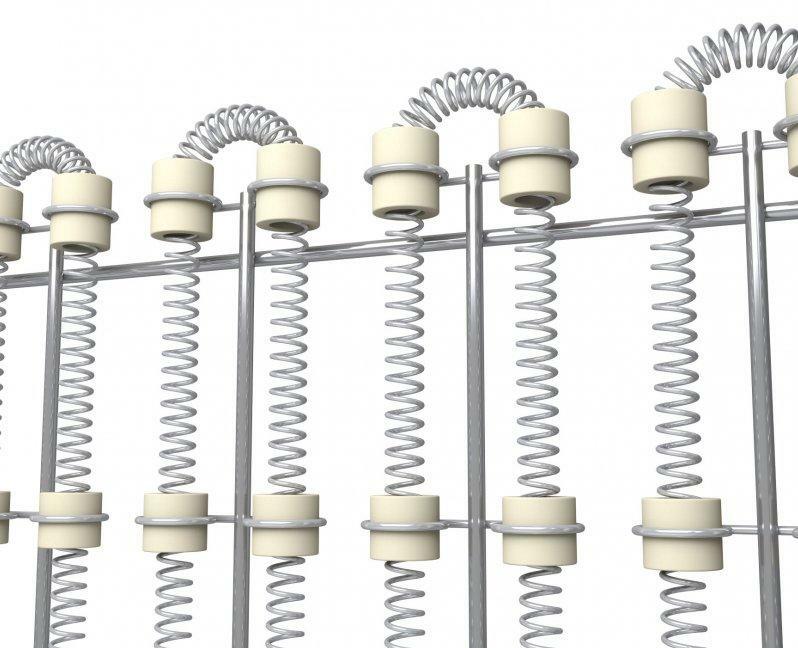 The most common heating element that manufacturers put in electric infrared heaters is coiled tungsten wire. Tungsten maintains its strength at high temperatures and has a high melting point, making it an ideal material choice for a heating element. When the heating element is surrounded by a quartz glass tube, the heater is also known as a tube heater or a quartz heater. Around the heating element is a reflective surface that can be used to control the flow of infrared waves in the direction of required heat. Infrared waves give off radiant heat which, when reflected from the reflective component of the heater, is absorbed by objects and surfaces without needing a transport medium such as air molecules. Infrared heat can penetrate materials and gases more easily than typical convection heaters and UV light, and can be used in a wide variety of applications. Common uses of electric infrared heating include: room or space heaters, industrial applications such as plastic welding, drying of coatings and glass processing, animal care in zoos and veterinary clinics and in medical treatments. As there are no burning fuels in electric infrared heaters, harmful fumes are not being emitted into the environment, making infrared heating an environmentally friendly choice. There are typically less health risks than in other methods of heating due to not burning fuels. Infrared heaters do not produce high volumes of carbon dioxide and so are not a major cause of oxygen and moisture removal from the air in the space they are heating, allowing electric infrared heaters to be used in applications such as livestock and residential heating. The overall temperature of the heating element is lower in infrared heaters than in conventional heaters, and thus there is a reduced risk of fires and burning. Other safety features could include a protective covering over the heater composed of a material with the ability to withstand high temperatures. This will prevent contact with the source of heat and further reduce fire and burning risk. As infrared heaters do not rely on air molecules to transport heat and instead actually heat the object, or the air, heating patterns are more uniform. With conventional heaters, there are often pockets of warm and cool air depending on convection currents within a space and this can create problems, especially in industrial processes which require more precision. Electric infrared heaters provide a uniform and economical heating option.